The Scorpio is a vessel used primarily by United Reclamation for salvage operations. It's used to cut vessels into scrap and recover the most valuable components swiftly and efficiently. A typical United Reclamation crew for a Scorpio might consist of the Pilot (who is usually also the subcontracted owner/operator), Copilot/Navigator, Engineer, and two Cutters (heavy equipment operators proficient in using the ship's salvage Cutting Equipment). This allows one additional crew slot available, to be filled as the captain sees fit. The vessel has remained essentially the same for some thirty years, so older models might be found for sale. The ship is generally unremarkable except for its relatively sophisticated suite of sensors, used for locating ships for salvage. While the ship is more expensive to buy than a firefly (a vessel of about comparable size), it has the advantage that none has ever been successfully taken by pirates. Boarding actions tend to go decisively to the Scorpio, which is made to tear ships apart. Unfortunately, this works in the opposite way; pirates may find the ship particularly appealing, since it is already equipped for close action. 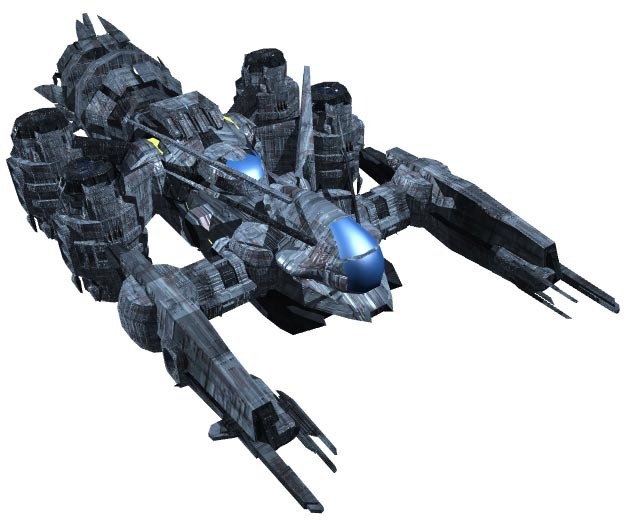 Second hand reports from Miranda state that several of these ships are in the hands of Reavers. The Fading Sun itself was a privately owned salvage ship whose owner had died in the initial outbreak of the war. The Independent forces grabbed her and tweaked her already rather formidable electronics and computer suite. A Michael Harris was given command of her and she was one of the hidden reasons for some of the largest successful Independence space combat actions, again using her electronics suite to be able to hide in plain sight and feed last minute tactical combat data to missiles coming in from extreme ranges. The devastation caused by the Fading Sun was rather extreme. The Alliance never knew what was exactly causing the problems, but near the end they performed a blitz style attack on all non-military ships in one of the engagement zones and managed to actually hit the Fading Sun causing her to crash out in the middle of God's nowhere, where no one found her till some two years after the end of the war. The only one left alive that knew where she was, was the only man that walked away from her the first time.